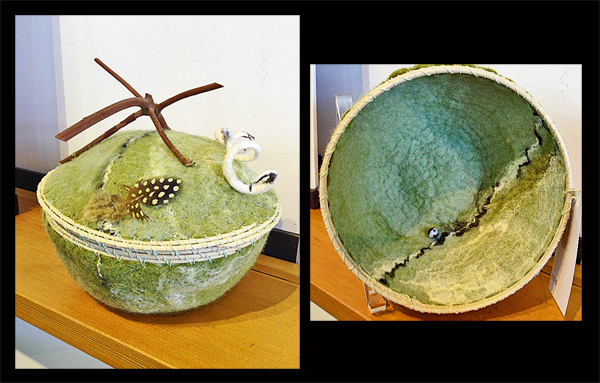 We are happy to welcome textile artist Doriane Nieburgs and her delightful felted wool baskets to The Island Gallery. 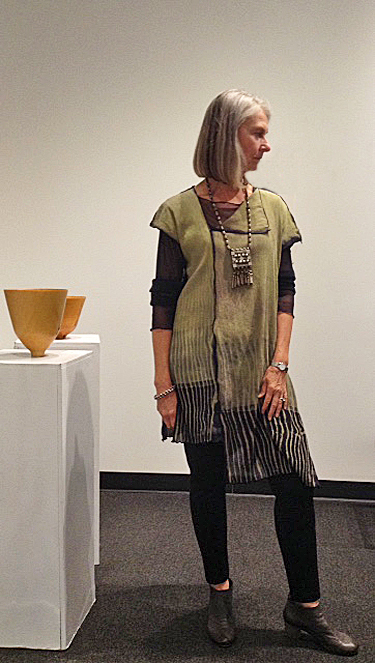 Doriane was born and raised in New York City and obtained her undergraduate degree in Art (ceramics and printmaking) from The University of Wisconsin, in Madison. She lived in Wisconsin for five years until moving to Seattle where she has now lived most of her life. She is a certified Montessori teacher and a licensed mental health counselor. I balance my life as a psychotherapist working with children and families with my art. Currently I am making felted wool vessels that are partly basketry, partly sculptural, and similar in many ways to ceramic pots or bowls. 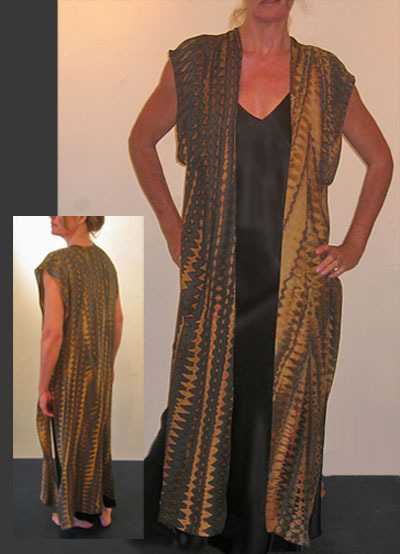 The materials I use are wool, silk, waxed linen, natural plants, feathers, reed, pine needles, glass beads, and anything else I find that I can incorporate into the work. The pieces range in size from 4 inches tall and 5 inches wide to 6 inches tall and 7 inches wide and are strong enough to be used as bowls or baskets. I am inspired by things in Nature that I see (when walking my big, black dog), poetry and other literary forms, and people. The process of making these vessels is both meditative and magical. Feathers and beads and a dose of whimsy enhance this lovely lidded felted wool basket. In particular, note the interesting features in the basket's interior, shown in the above photo on the right. Dimensions: 7" in diameter. Feathers and beads and a dose of whimsy enhance this lovely lidded felted wool basket. In particular, note the interesting features in the basket's interior, shown in the above photo on the far right. Dimensions: 7" in diameter. Feathers and beads enhance this lovely felted wool basket. Dimensions: 4" in diameter.